It’s known for its ability to withstand heat and droughts. Its fragrance is well known in the perfume industry, and is recognizable to many. It’s occasionally used in the kitchen, to add a fragrant flare to entrées, desserts, and even cocktails. It may even be growing in your backyard right now, adding a beautiful hue to your landscaping. Do you think you know the answer? You probably guessed it. Lavender! While the physical lavender flower is often used in the kitchen, it is the essential lavender oil that is commonly used in the perfume industry. But there are other uses for the essential oil that may be even more appealing and beneficial. Essential oils have powerful benefits that can be used on a daily basis. They are an excellent to add to soaps, lotions, bug sprays, and face washes to create a non-toxic solution that works. As we have mentioned before, most personal care products are filled with toxic ingredients and preservatives that can cause disease and imbalance in the body. 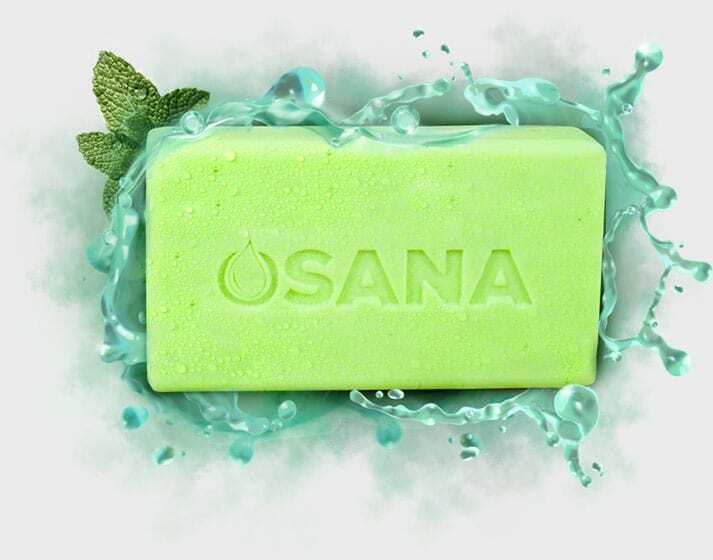 Before, we explore the benefits of other essential oils like tea tree oil and citronella oil (one of the main ingredients in Osana’s all natural mosquito repellent soap), let’s learn more about the benefits of using the essential oil of lavender! 1. Aromatherapy: According to the May Clinic, aromatherapy can provide relief from anxiety and depression, and can also improve the quality of life for those suffering from some chronic health conditions. Squeeze a few drops of lavender oil into your palms and inhale the fragrance. You may also feel the calming effects that the oil has once the scent reaches your amygdala gland. 2. Bath Additive: Not only will adding a few drops of lavender oil to your bath provide you with an added aroma advantage, but it could also serve a couple of the purposes listed above. Additionally, the essential oil can help treat some circulatory disorders. 3. Muscle Relaxer: Many people credit pure lavender oil as helping to ease their tight, sore muscles, and it only takes a couple of drops. Simply apply to the sore areas and gently rub it in. You might also consider mixing it with a drop or two of an essential citrus oil. 4. Dandruff: Incorporating a few drops of lavender oil into your morning shower routine can help eliminate those pesky dandruff. 5. Minor Cuts: A drop or two of this versatile essential oil can help to stop the bleeding from a minor cut. Additionally, its natural properties help to clean the wound and kill bacteria. 6. Sleeping Aid: Inhaling the fragrance of lavender oil before hitting the hay, and rubbing a drop onto the surface of your favorite pillow, can aid in your sleep. Some folks use lavender oil to help combat insomnia. It’s calming, relaxing qualities go a long way on those restless nights. 7. Insect Bites: Are you noticing a theme? Lavender oil naturally soothes and calms, and this applies to minor insect bites, as well. So the next time you get bit by a mosquito, or stung by a bee, break out your lavender oil. A well- placed drop will do wonders for the itch and the swelling. 8. Mild Eczema: Simply mix a few drops of pure lavender oil with either coconut or sesame oil and apply topically. Many report significant positive results from using this primitive method to help treat eczema.